I have to admit that I haven't gotten excited about Easter yet. 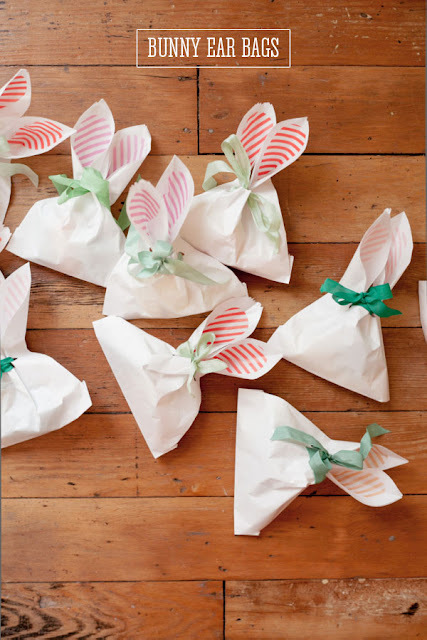 Even the arrival of our scotch mallow eggs from See's Candy didn't do it, but these cute bunny ear favor bags might just do the trick. Maybe if I put the scotch mallow eggs inside that will help. You can check out how to turn a regular white bag into these adorable bunny ear bags over at Oh Happy Day. New follower. I have enjoyed reading through your posts. You have an awesome blog. Hope you will visit me and hopefully want to follow back.